On a sunny afternoon in early June, 2015, in a rehearsal room at the University of Warwick, director Tim Supple was rehearsing a globally envisioned King Lear with a group of talented actors from Ukraine, France, Nigeria, South Korea, India, and other parts of the world. When the actress Hong Hye Yeon playing Kent lamented in an aside in act 1 scene 4 that ‘[i]f but as well I other accents borrow, / That can my speech defuse’ in Korean (commenting on her and Kent’s disguise as part of the character’s effort to serve and assist Lear), the Ukrainian Lear (Oksana) responded powerfully in Russian. The cross-cultural dialogue was rich and beautifully embodied by the actors, their choice of modern editions or translations of the play, and their individual acting styles. The entire multinational cast was cooking up something delicious and original. During the brainstorming session that followed, Supple asked: ‘What came before language?’ The question was designed to draw attention to multilingual spaces on and off stage and the implications of acting and doing Shakespeare in such a space. He asked the group to take note of what we might find ‘when we move away from [verbal] language’ and of the ‘seeds of what we might find’. The answers the group came up with were diverse and rich: emotions; physicality; body language; that which incarnates the words; what lies under the words; and, last but not least, clarity of intent. 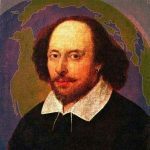 In other words, there is a rich non-verbal language that come before and alongside utterance, which is particularly true in the case of non-English-language or multilingual performances of Shakespeare. The rehearsal room exercise suggests that unconscious contents, or implicit thoughts, reach consciousness in embodied forms by first being enacted in one way or another. That is what comes before and goes beyond language. Characters, actors, and people in all walks of life re-enact their desires and trauma in non-verbal forms of emotional communication, which is a core layer of the human experience. Lady Macbeth sleep-walks (a re-enactment of trauma) before she puts her thoughts into words. Lear “disintegrates” physically, appearing ragged, as his mind unhinges. 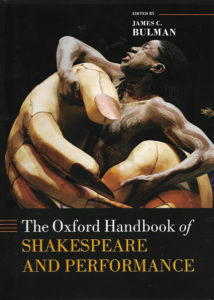 Global Shakespeare as a performance practice and research field show that Shakespeare’s narratives are capable of resonating with audiences across cultures and time periods through not only poetry but the space between poetry and unarticulated emotions. To move global Shakespeare studies beyond the more limiting scope of nation-state and cultural profiling, I would like to propose we consider a number of critical concepts as methodology. These concepts critique the limitations of cartographic imagination, and connect the performance site and locality to spaces of knowledge production: (1) the site of performance and the myth of global Shakespeare; (2) diaspora and racial tensions; (3) art in post-national space; (4) the ethics of quoting Shakespeare and world cultures; and (5) the production and dissemination of knowledge through archives.